Superior Rapid Response is Sarasota, Florida’s premier tile & grout cleaning company. 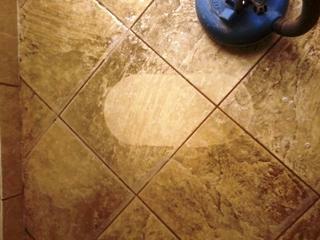 How often should I clean my tile & grout? This is a commonly asked question. Our tile & grout cleaner is specially formulated to emulsify dirt and grease leaving grout lines clean and bright. Our tile & grout cleaner is ideal for residential, commercial, or restaurant floor. Our technicians are experts with all the products and procedures that we use. · Does a family member have allegories? · Does a family member smoke? · Do you have a large family, numerous pets and entertain often? · Do you have an asphalt driveway? Get the picture. If you answered yes to any of the above questions, you should have for tile & grout cleaned once a year. If you are a couple or you live alone, we recommend you clean your tile & grout every 2-3 years. Superior Rapid Response - Our goal is to offer high quality tile & grout cleaning at an affordable price.